Anumodana to Association of Los Angeles Physicians of Indian Origin as they celebrated their 7th free surgery day and to Beverly Surgery Center for providing the space, equipment, and staff free of charge. We need more such medical care in our society. Read more about it below. JAINA condemns the school shooting in Florida. It’s time to stand up against such evil and spread Jain ideals of non-violence and peace in the society. Let’s be kind towards each other and make the world a better place to live. The unenlightened takes millions of lives to extirpate the effects of karma whereas a man possessing spiritual knowledge and discipline obliterates them in a single moment. Q 1: How many Paryaptis do one-sensed Jiva have? Q 2: How many Prans do the one-sensed Jiva have? The Federation of Jain Associations in North America (JAINA) condemns the school shooting in Florida, which left 17 dead. A former student opened fire inside Marjory Stoneman Douglas High School using an AR-15 rifle on 14 February. We are deeply saddened by this incident which took lives of innocent youths and urge people to remain calm. This is really tragic and sad. 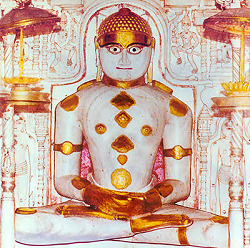 Reverence for all forms of life is the essence of Jain teachings. This is the time for prayers and efforts to stop such a senseless violence. Jainism holds that the taking life is a cardinal sin and we reiterate that nothing can ever justify murder and terrorism anywhere. We pray for the speedy recovery of the injured and offer our deepest condolences to the families and friends of victims. 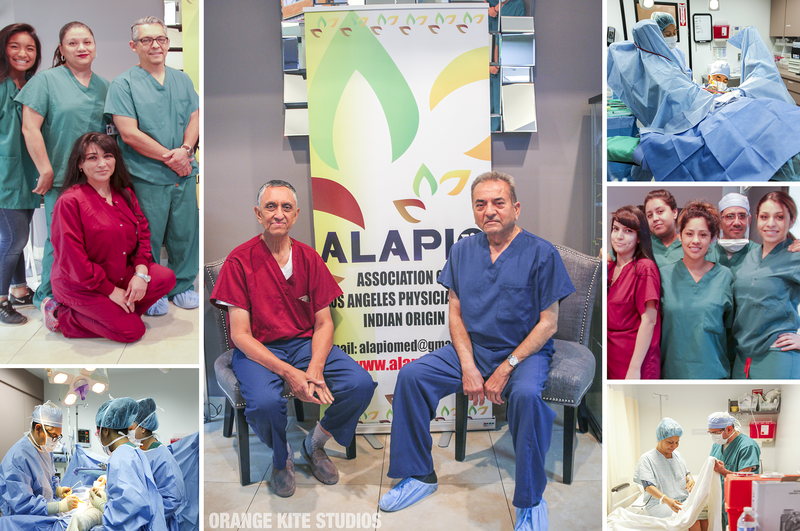 On February 7, Association of Los Angeles Physicians of Indian Origin (ALAPIO) hosted its 7th free surgery day at the Beverly Surgery Center in Beverly Hills. Four doctors performed six surgeries, all under anesthesia, including two hernia repairs, two colonoscopies, one sarcoma removal and one bladder prolapse repair. The patients were of varied ages and came from different parts of Southern California, but had one thing in common: they could not afford medical care through other avenues. They don’t have private insurance, Medicare or Medical. “Because of their biographical details, our medical insurance system just doesn’t have a place for them,” explained ALAPIO’s Dr. Bharat Patel. Dr. Bharat Patel (urology), Dr. Nitin Shah (anesthesiology) and few othersurgeons participated in this month’s free surgery day. Dr. Bipin Doshi, a Jainology Teacher at Mumbai University, will be in USA for over a month. He has 20 years of teaching experience where he has taught Jain Philosophy to more than 4500 students. He will be in New York from middle of April till end of May. He will be offering Jain Philosophy crash courses from April 16 to May 5 in Scarsdale, NY (914-552-1224) and from April 17 to May 12, 2018 in Manhattan (917-498-7764). Anyone interested may contact him at drbipindoshi@yahoo.com for further details. This is a MUST SEE. Walk the entire back line of the many mini-temples, go beyond the Ryan tree, take a right turn around the circle, walk about 30 feet or so, and look for a flight of stairs to go upon the upper floor. It should be behind the Temple of Simandhar Swami that you had seen in the first circle. Climb the steps to get a scenic view of the temple complex from the upper floor. 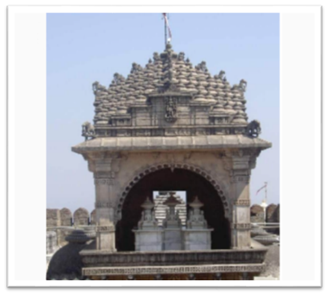 There is also another Chaumkhi temple on the balcony with the idol facing all four directions. The entire area looks beautiful from here. Once you come down the stairs, go a little further and turn left to enter the New Toonk, a new temple complex in red stone built in 1972. The hill had become overcrowded and a new complex was built to hold all the extra idols that were scattered across the temple complex. 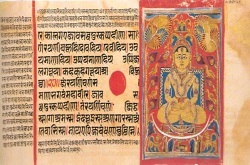 The oldest image of Pundarik Swami, dating to the 11th century, is in one of the cells f this new complex. According to Jainism, there was a frog in a pond in Rajgiri City. 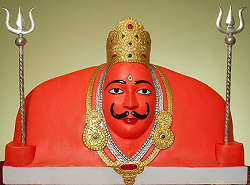 Once there came the Samosharan of Lord Mahaveera. All the citizens went to worship Lord Mahaveera. The frog also made up his mind to worship. The frog took a lotus petal in his mouth and set out towards Samosharan. King Srenik was also going towards the Samosharan riding on his elephant. When the frog was crossing the way, suddenly the elephant stamped the frog. It died at once. By the spirit of worship, the frog became a god in the heaven and immediately came down in the Samosharan and worshiped Lord Mahaveera. So when a frog can take birth in heaven by the spirit of worship, then why will human being not get happiness and peace by worshipping God? In Gujarati, 'chha' means six and 'kos' or 'gau' is a measure of distance equivalent to about 3 kilometers. Each year, hundreds of thousands of devotees perform a pradakshina or yatra of 18 kilometers on Mount Siddhachal on the auspicious day of Phalgun Shukla Teras. Siddhachalam is a replication outside India of Mount Siddhachal. 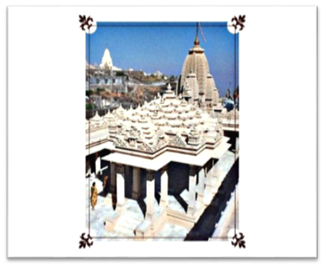 As in Shatrunjaya Siddhachal of Palitana, the Moolnayak of Siddhachalam’s main temple is also Bhagwaan Adinath. Experience the 6 Gua Pradakshina in New Jersey on the auspicious land of Siddhachalam on Sunday, March 4 at 9:00 AM. 1. 6:00 AM - Temples Open. 2. 7:00 – 8:30 AM at Parsvnath Temple - Abhishek Nityaniyam puja, Aarti & Mangal Devo. 3. 9:00 - 11:30 AM at Main Temple - Snatra puja, Ashtaprakari puja, Navpad puja. 4. 11:30 AM at Main Temple - Chaitya Vandan and Aarti, Aarti and Mangal Divo. Perform Bhomiyaji Vandan and celebrate holi with family, friends and community on Sunday, March 4 at 12:00 p.m.
12:00 PM at Bhomiyaji Temple - Bhomiyaji Vandan and Aarti. 12:30 PM at Bhomiyaji Temple - Holi Celebrations*. 1:00 PM at Gautam Labhdhi Bhandaar - Swamivatsalya. Disclaimer: JAINA has always supported Jain way of living. We publishes only Jain or Vegan recipes. Please make sure you buy Jain or Vegan ingredient for making any of JAINA’s recipe. If we have hurt anyone’s sentiment knowingly or unknowingly, we seek your forgiveness. Michhami Dukkadam!